Read more about Blackburn now open! Bournemouth - Exeter Crescent now open! Read more about Bournemouth - Exeter Crescent now open! Read more about Inverness now open! Third Nando's heading to Hull? 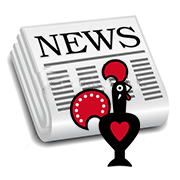 Read more about Third Nando's heading to Hull? Southampton - West Quay Leisure now open! Read more about Southampton - West Quay Leisure now open! Teesside, Orpington - Walnuts and East Kilbride now open! Read more about Teesside, Orpington - Walnuts and East Kilbride now open! Read more about Stafford now open! Sevenoaks and Oldham Town Hall now open! Read more about Sevenoaks and Oldham Town Hall now open!